It's not gotten off on the right foot, but there is hope on the horizon for DC. The latest trailer for 2017's Wonder Woman movie has dropped, and the response has beenmostly positive overall. Gal Gadot was among the better-received elements of Batman v Superman, so it makes perfect sense that her solo venture would receive a seal of approval from the DC faithful. But that doesn't address the huge elephant in the room: the perceived lack of quality in the so-called DC Extended Universe. Now, I am a self-proclaimed fan of Dawn of Justice (and I'm fully aware that that isn't a popular opinion), but Man of Steel and Suicide Squad felt like a chore to sit through. So why still get excited over films in an already underwhelming franchise? The answer is simple, they look great. DC are in panic mode right now and it's been proven that we work best when under pressure. If you back someone into a corner then they'll fight for their life to get out of it. This is the predicament that DC finds themselves in, and the future has a glimmer of hope if they can steer the course. That hope, like most things, can be broken down into a list. 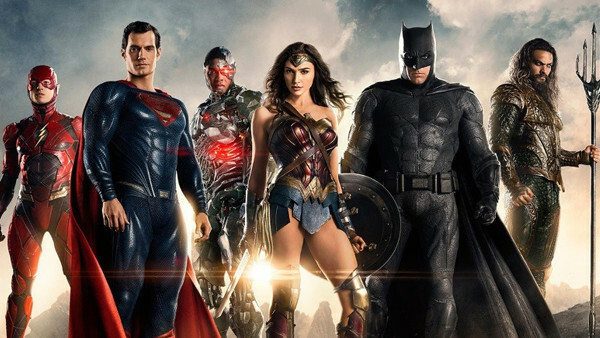 Here are 5 reasons why the DCEU could still be great.